The surprise premiere of Ready Player One dominated the conversation at SXSW this weekend, but there were plenty of other developments worth noting. 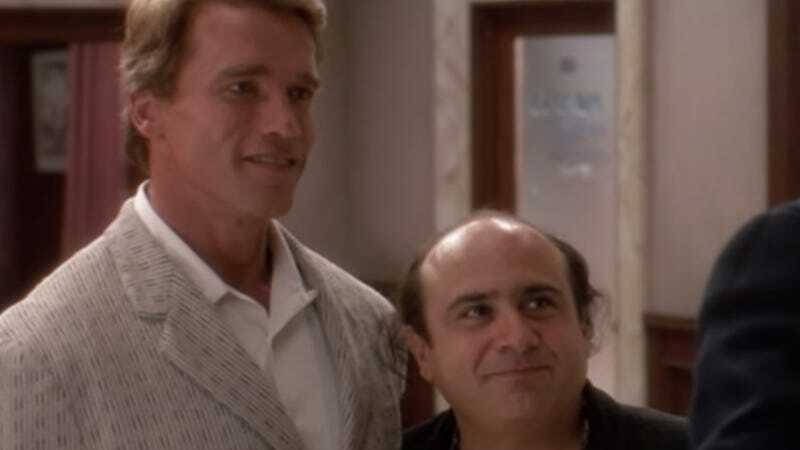 In addition to handing over control of the Westworld narrative via a new mobile game, the multimedia festival also had some big news about the long-germinating Twins sequel—you know, the one being written by Josh Gad and Ryan Dixon, which will reunite Arnold Schwarzenegger and Danny DeVito while also trying to find a way to introduce Eddie Murphy to the family. Despite the fact that Gad said the movie, Triplets, was put on hold in 2015, Schwarzenegger swooped into SXSW to tell attendees that the script is done, Deadline reports. Not only that, but Murphy is definitely going to play the third triplet whom their mother, played by Bonnie Bartlett, didn’t mention giving birth to in the original. As for the plot device that will bring them all together, Schwarzenegger just teased there’s “funny thing that happens in the mixing of the sperm,” which sounds very scientific indeed. Schwarzenegger didn’t just talk about the family/buddy comedy; he also took some time to trash Trump, including pitching a Terminator sequel premise in which the T-800 “travels back to 2019 to get Trump out of prison.” The actor, who’s also gearing up for a return to the world of Conan The Barbarian, didn’t elaborate on just why the cyborg would need to bust the president out of jail, but it sounds like the future’s also awfully bleak in that timeline.